A friend recently tagged me in the Facebook challenge to share seven books that have made an impact in your life. I normally ignore challenges, but this one was about books! So I duly chose the ones I felt had earned their place on my list. And then I decided I’d like to expand on why I chose these books, as one day when I’m old(er) and grey(er), I’d like to be able to share the stories and the books with my grandkids or grand-nieces/nephews (not that I have any yet) when they visit and look through my bookcases. Books have been part of my life since I can remember. I wrote about this along with my favourite place to read a few years ago, so it wasn’t easy to condense my list to just seven, but I gave it my best shot. Here we go! We all love to be read to. In fact, I believe we never grow out of it, and why audiobooks have become a popular way to devour stories. One of my favourite teachers, Newfield school circa 1972, was Ms. Baker. (a close 2nd to my very, very favourite teacher, Mrs. Bayliss in Form 1 at Lithgow Intermediate). She read a number of books to the class that year, but it was The Hobbit that became my first book-friend. I had it read to me then, I went on to read it for myself, and then I read it to my children. I loved the adventure, the humour and the suspense! I loved and treasured this, my first mystery series and would often imagine myself as Meg. I even tried plaiting my hair in the way it was described that Meg did in the books. I used to own the full set of these from my childhood, but unfortunately, in my last move, I seem to have misplaced them. I’m still grieving their loss, as they are out of print and scarce as hen’s teeth at 2nd-hand stores. A very special kindred spirit found one for me a few years ago, which was a lovely gift and a great surprise. When I think of this series, I think of my mum. She kept me supplied with reading material right through my primary and intermediate school years. I would often get a new book bought for me every week, and we had a standing order for my favourite girls’ magazines, which we would collect from Whitcoulls every Friday. They had to come from the UK, so some weeks I’d be distraught as none had arrived, while other weeks there would be a bumper crop of backlogs. I credit my mum with fostering and supporting my love affair with reading. Thanks, mum! Fast forward to 1981, and Joyce Gartly’s 6th form English class. Boy, did this teacher know how to tell a story! I vividly remember the sheer pleasure of listening to her read, and I can recall the day she finished reading this novel. It was halfway through an English period and we all sat stunned. A Soldier’s Tale has stayed with me since that day 37 years ago. It has had a prized place on my bookshelf ever since. I am cheating a little by combining two books as my #5 selection. I can’t choose between them. Once again, I can credit the lovely Ms. Baker (I was devastated when she left the school at the end of the year she taught me) with introducing me to what still remains my favourite poems – ever! I can still recite so many of these, and I loved reading them to my own sons. In fact, Vespers was turned into a song which I sang to them at bedtime as well. I had light bulbs going off all over the place when I first read Where Do Good Ideas Come From: the Natural History of Innovation. I regularly recommend it to students to read due to Steven Johnson’s accessible and flowing writing style, and I have given it to several friends and family members as gifts. There was so much I loved about this book, but the thing that probably impacted me most is the section about the place of Commonplace books in history. I was so inspired by it I wrote about it on this blog! I also love another of his books, The Ghost Map: a Street, an Epidemic and the Hidden Power of Urban Networks. I was fascinated by the story of how Dr. John Snow, with the help of a local minister, was able to prove how cholera was transmitted. It is, once again, superbly written and I use the first two or three pages as a read-aloud with classes as it describes the sights, sounds and smells of Victorian London. Last, but by no means least, is Maisie Dobbs. This series is among the best I’ve ever read. I am completely invested in Maisie’s life, which begins in the first book when she is a young girl working in a fancy house during the 1920s till the most recent installment, where she is now a grown woman navigating World War II. She feels like a friend, or at the very least someone I’d love to meet, and that is all down to the writing of Jacqueline Winspear. I don’t ever want her to stop writing about Maisie and the world she inhabits. So, if you’ve read to the end of this rambling, please leave a comment with your top read – your top seven, if you’d like! I am always keen to hear what stories other people have been shaped and inspired by. I have always loved to read – always! As a child I lovingly and laboriously wrote my name in all my books. I shelved them in my bookcase by their author’s surname (already a budding librarian in the making!) My mum would buy me a new book every time we went to town. My favourites ranged from Alfred Hitchcock and the Three Investigators to The Magic Faraway Tree to the Twins at St Clares to The Meg Mystery series. I loved nothing more than throwing my pillows and rug up there and, along with my book du jour and essentials such as something to quench my thirst and keep the tummy from rumbling, I would climb up there and burrow into my own personal reading nest. I felt like it was my own wee world where I was hidden away and out of sight. Plus it had the added advantage of being out of my little sister’s reach! (she was only 6 and couldn’t climb!). In my head this is what it looked like. 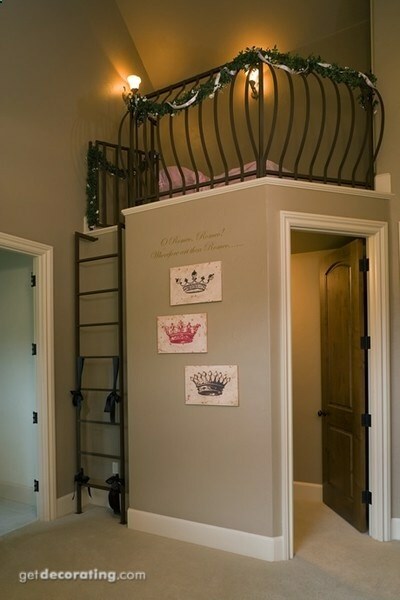 What little girl wouldn’t love a space like this?! Now, as an adult I still have that hankering for a special reading place, one where I can be in my own wee world again, surrounded by the things that make me happy. 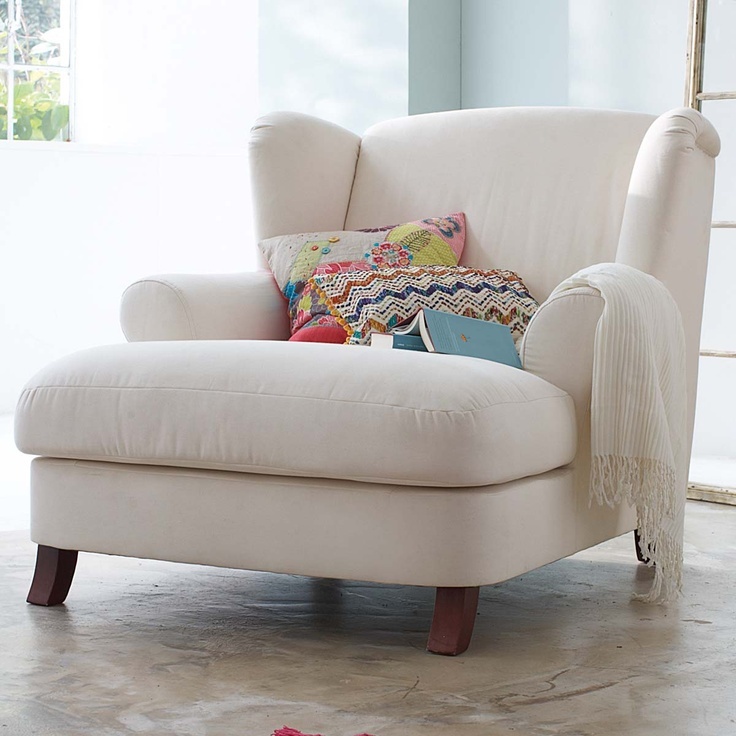 I would settle for a special chair – I’m envisaging an oversized wing-backed chair with a seat you can sink into and lots of soft cushions with room to curl up in. So I began an on-line hunt in search of a picture of that perfect chair. I think this one would be the closest I’ve come across to date, though I’d want bigger arms and maybe a wider seat and I would want it in rich warm colours and textures. And then of course the space where it would live would have to be just right. This picture just about has it right. Even has an open fire next to it which would be a bonus! I still hope that one day I can have my special reading nook. My current home doesn’t have the luxury of enough space for this (though I do have my working/writing space the way I want it, so that’s a good start) but I feel confident it’ll happen one day. So what about you? 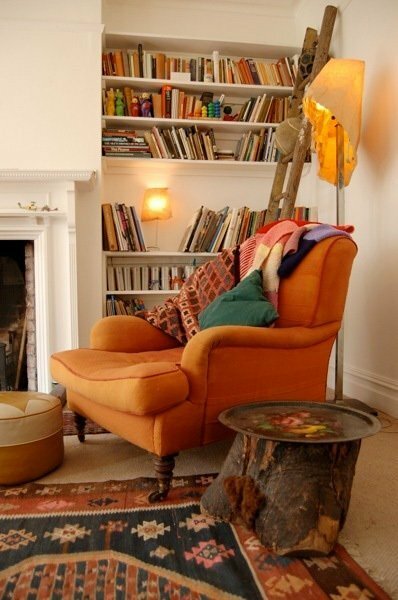 Do you have your own reading nook or a favourite place to read? 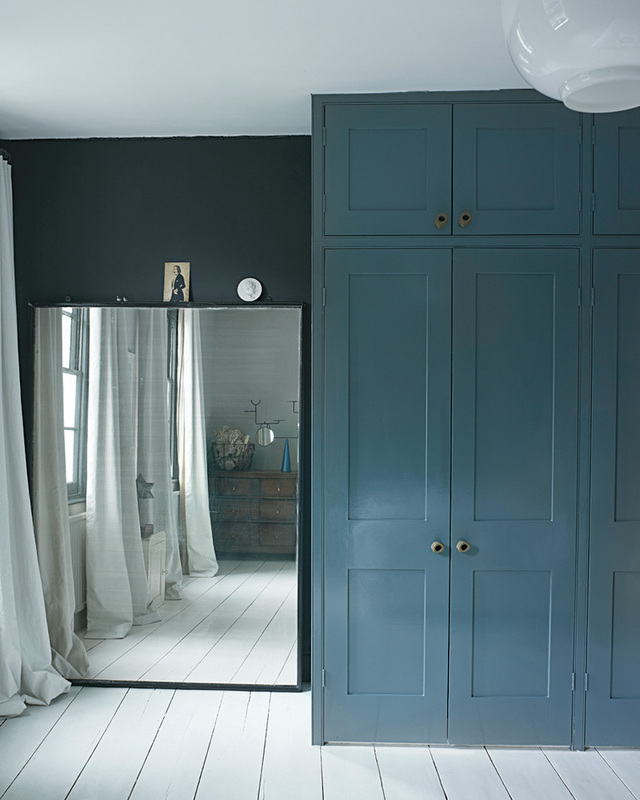 What are your key elements crucial to creating that space? I’d love to know if you also had a special reading place as a child and if that impacted on your love of reading. I’ve created a Pinterest page called Reading Nook with other examples of some great spaces. I also love blogs that set out at the very beginning what you’re getting into and I especially love lists, so Pernille’s list of 10 things that helped her and her students to love reading more held huge appeal. 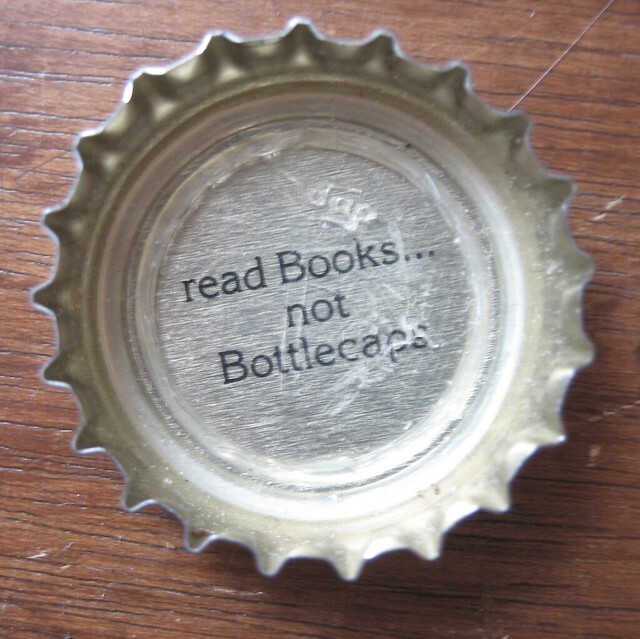 This will help get you thinking about what could work in your classroom or library for the new 2013 school year. Maybe you just want to try one of the suggestions on her list or add one to the strategies you’re already trying. And if you like these ideas, share them with your teaching colleagues!